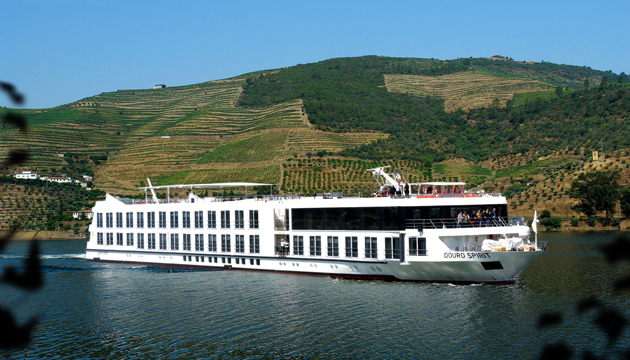 Inaugurated in 2011, the Douro Spirit is a innovative ship and has all the facilities of a true luxury hotel. Equipped with the latest technology has a capacity of 130 people. 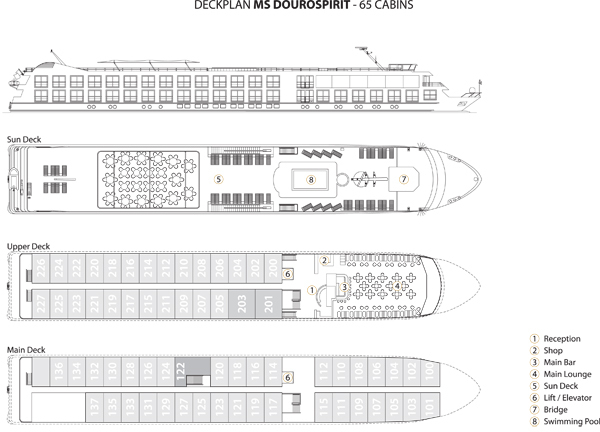 The DouroSpirit has 62 double cabins and 3 suites spread over 80 meters long. This elegant vessel is equipped with french balconies, pool, spa, gym, restaurant, bar with a dance floor, elevator, video-on-demand, internet connectivity in all cabins and also in hotspots. All the details of this vessel were designed to maximize the comfort and well-being on board.